Some years ago a friend from Dudley took me to a tiny pub that had as many as beer pumps as customers. The beer pumps hung on the wall. The barmaid sat on a stool below the beer pumps. Dudley has an eccentric tradition in pubs, as if dour resignation ensures institutions are obliged to pass their sell by date. 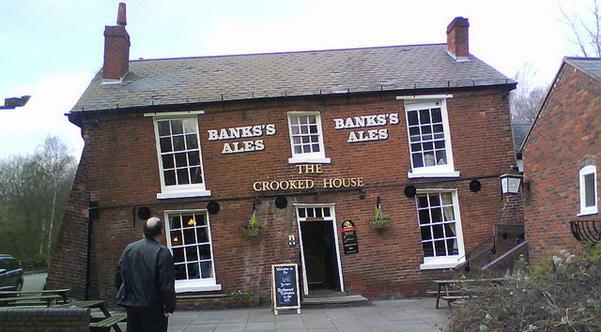 The Crooked House is not tiny but is the most tilted pub in Britain. Apart from architectural exotica the pub offers rustic food and real ales. The same friend from Dudley described the local population as apathetic. Interested in only League points, style deficient Sam Allardyce is a modern football symbol of dour defiance. Duncan Edwards, another local hero, died in the Munich air crash. Edwards was a popular footballer because he was gifted but he was also an unvarnished and reassuring alternative to foreign style. Football allows for dour resistance but art and entertainment require self-invention. James Whale who directed Frankenstein in 1931 belonged to a large working class Dudley family. In Hollywood he pretended he was from the English gentry. After Sue Lawley of Desert Island Discs was put through an elocution mangle, her Black Country accent disappeared completely. The talented black comedian, Lenny Henry, has searched for a serviceable identity all his life. The Premier Inn adverts suggest he has had more luck in finding a place to kip. My Dudley friend retreated to a village in genteel Oxfordshire. The town centre would not win awards, and by now the residents must have become bored with the statue of comic character, Desperate Dan. But Dudley has more than exotic pubs although their importance should never be underestimated. 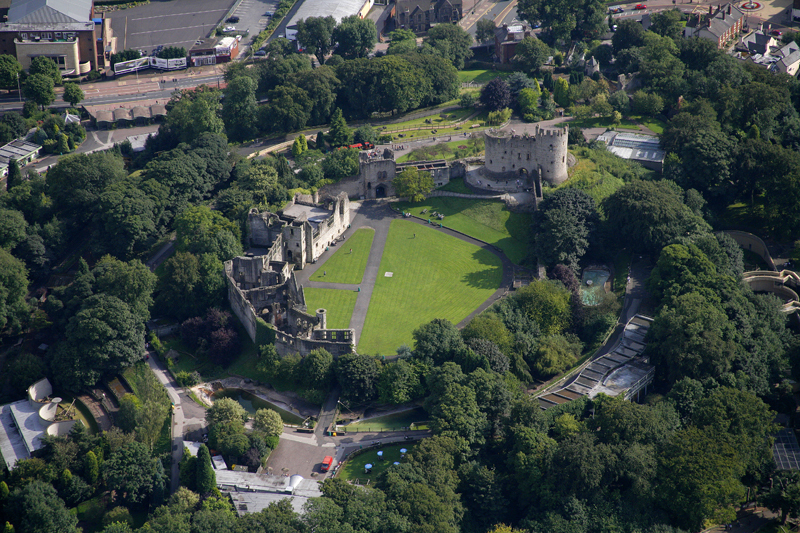 The Castle that dates back to pre-Norman times is less than three hundred yards away from the town centre. The Castle also contains a charming zoo. Life in industrial Britain in the 1930s is revealed by the grand open air Black Country Museum. The trolley buses are great but the serious will be impressed by the limekilns and the connection to the canal network. To suit dour folk the Town Hall in Dudley is called the Council House. The Council encourages walking and has identified over 500 walks within the region. The short trek to Wrens Nest Nature Reserve is popular. None of the 500 walks take the walker above 400 feet, and one is no more than a third of a mile but the initiative shows faith in what can be derived from local history. Dudley has plenty. In Anglo Saxon times it was known by the German mouthful, Duddan Leah. In the 13th Century it was established as a leading market town, and in the 19th the thirty mile coal seam that defined the Black Country ensured it became industrial. Today the population numbers 79,000, 90% is defined as white. Although their numerical supremacy is overwhelming, some of the 90% think of themselves as victims. The English Defence League likes to march and grunt in Dudley. The recent discovery and prosecution of a Dudley jihad fantasist will not help those who want calm. Next week, home of the alternative parliament, Edinburgh. Posted in Black Country Museum, Desert Island Discs, Desperate Dan, Dudley Castle, Dudley Zoo, Duncan Edwards, English Defence League, Frankenstein, James Whale, Lenny Henry, Sam Allardyce, The Crooked House, Wrens Nest Nature Reserve and tagged Britain, history, politics, tourism, Walking on April 10, 2015 by Howard Jackson.